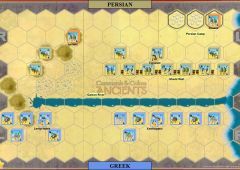 The Persian emperor Xerses I led a massive invasion of Greece to avenge the defeat of his father’s forces at Marathon. 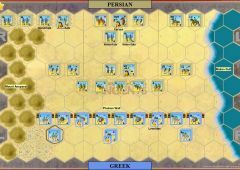 After annihilating the 300 Spartans at Thermopylae, Xerxes captured and burned Athens. 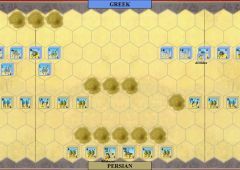 Macedon, Thessaly and Boeotia submitted to Xerxes. 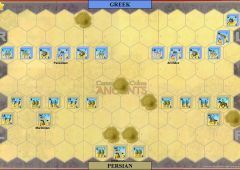 However, following the loss of the Persian fleet at Salamis (480), Xerxes withdrew to Asia and left Mardonius with most of the Persian land forces to continue the subjugation of Greece. 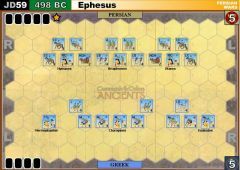 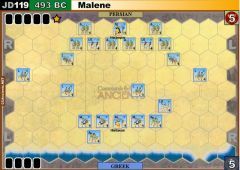 Amid much bickering, an allied Greek army was formed under the Spartan Pausanias, and moved to oppose the Persians. 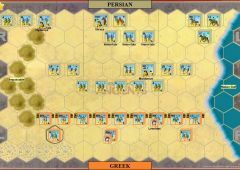 The Greeks were always careful to stay in terrain that negated the Persian cavalry. 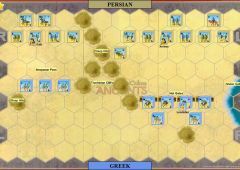 The Persian cavalry attacked anyway, but their commander Masistias was killed. 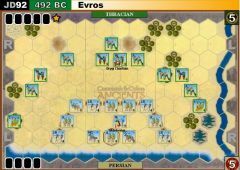 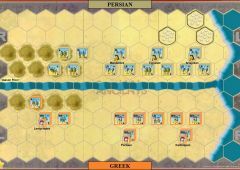 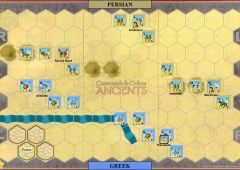 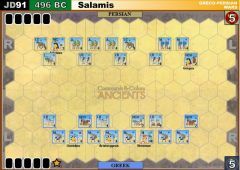 Ceasing direct combat, the Persian cavalry began raiding effectively, poisoning the Greek's water supply and destroying a large Greek baggage train. 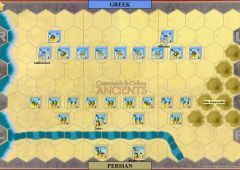 Short of water and food, Pausanias ordered a night withdrawal, but only the allies in the center did so. 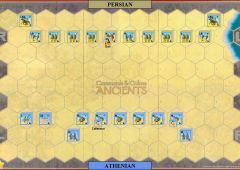 The Spartan right and Athenian left stood until first light. 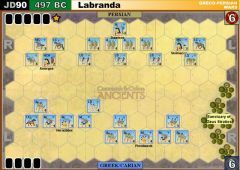 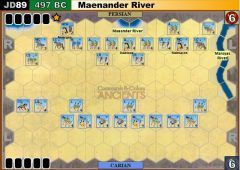 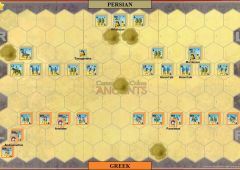 Seeing this confusion Mardonius ordered a general advance, and attacked the Athenians units on the Greek left wing. 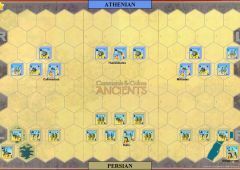 It was a fierce onslaught that prevented the Athenians from moving to assist the Spartans who were being pressed hard on the right. 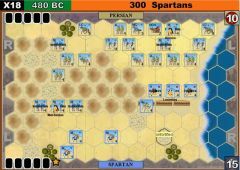 Holding back until the omens were right, the Spartans were finally ordered to charge, routing all before them and killing Mardonius. 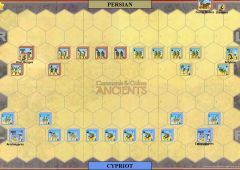 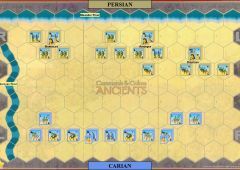 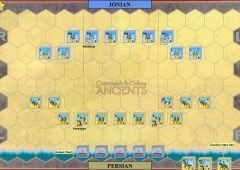 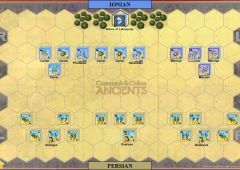 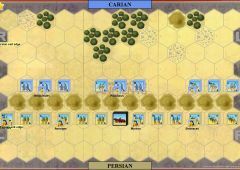 The sight of Persians retreating unnerved Artabazus’ forces and they also fled the field. 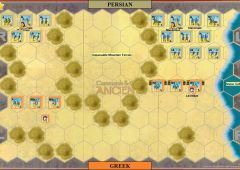 The victory at Plataea meant the Persian threat to Greece was effectively ended.